The History Bee and Bowl is a buzzer-based history quiz competition; a cross between 'Jeopardy' and 'Who Wants to be a Millionaire'. Schools from across Switzerland are pitted against each other to find out who has the best history knowledge. Questions can be on any period of history, anywhere in the world. The History Bowl is a competition for teams of up to 6 students. The Middle School team is for students born in September 2002 or more recently. The Junior Varsity team is for those born in September 2000 to August 2002 or more recently. The Varsity team is for those aged 19 or below. All team members then compete in The History Bee. The History Bee is for individual students; anyone can buzz in with an answer at any time. 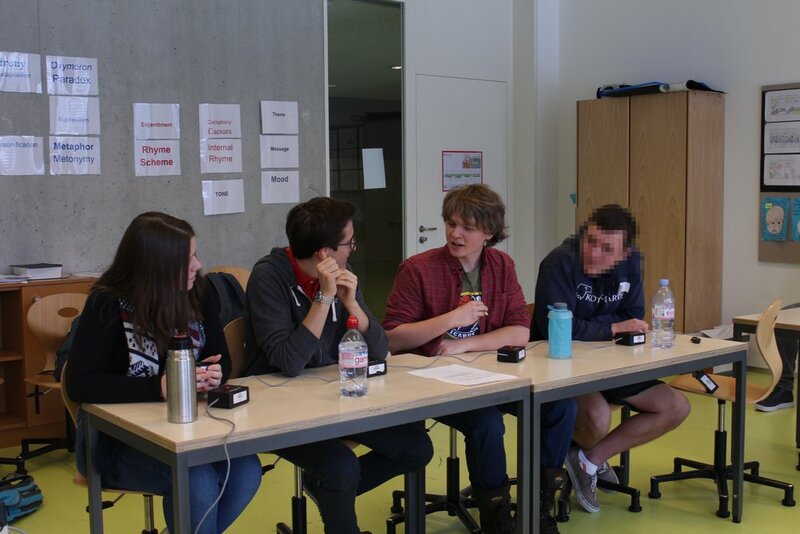 Campus des Nations again hosted the Swiss Championships for the 2018-2019 History Bee and Bowl. The school fielded a large team who were particularly successful this year. Well done to all of the students who participated and helped to run this fantastic event. Middle School Team - Hiyaw, Lucia, Oliver, Eva, Luka, Teodoras - 2nd place. This year we had a team of three who travelled to Prague to compete in the European Championships. For such a small team they did amazingly well and came fourth in the team event of the History Bowl. They narrowly missed out on third place losing to Eton College. This years team comprised of Antonio Pattori, Nathan Fitzpatrick and Lucia Guzman. Antonio Pattori's fantastic knowledge of all things historical helped him to claim third place in the individual event of the History Bee. Well done. This year we hosted the Swiss Championships here at Campus des Nations and we had the largest number of students participating in the event. In total eight schools participated in the competition from the local area and the rivalry was high. Our teams did particularly well and they have now been invited to take part in the European Championships which are being held in Prague this year. Well done to all students who took part in such a challenging competition. Varsity Team A (Antonio, Fiona, Mikkel, Aleksy)- 1st Place - qualified for European Championships. 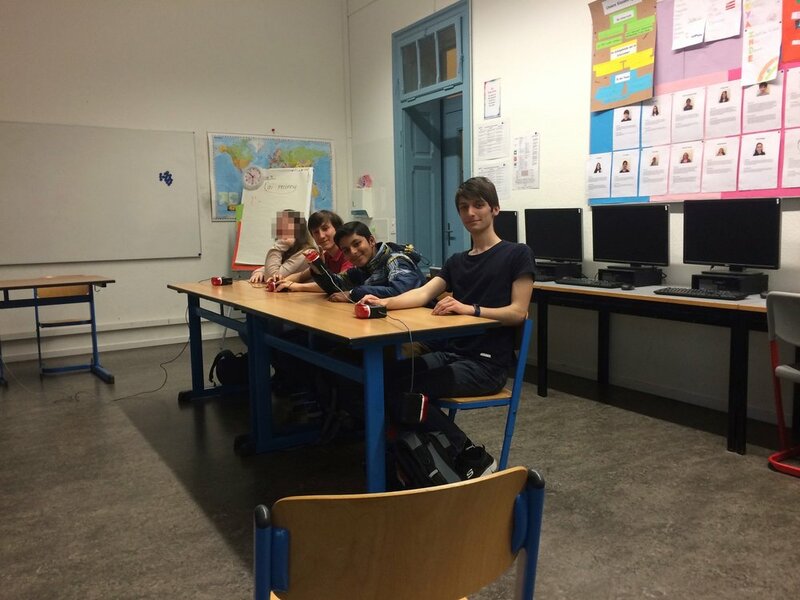 Varsity Team B (Tom, Philippe, Nathan, Shreya) - Semifinalists - qualified for European Championships. Junior Varsity Team ( Allan, Jialong, Daniel) - 1st place - qualified for European Championships. Middle School Team (Eva, Teodoras, Jack, Lucia, Hiyaw, Olivier)- Semifinalists - qualified for European Championships. The Nations students also did really well in the individual event and swept up the medal winning places. Antonio Pattori and Prathmesh Rai participated in the the European Championships in Rome on the Saturday 20th May. After a hard fought battle Antonio came fourth in the Junior Varsity Bee after losing by an agonising 1 point to get in the top three. The Bowl was equally as exciting, while the boys lost against ICS Zurich (the eventual champions) in the semi finals they went on to beat a school from Stockholm by an amazing 100 points to place third. Antonio and Prathmesh have now qualified for the World History Bee and Bowl which is being held in Berlin in 2018. This year a team of eight students accompanied by Mrs. Ball and Mr. Kinghorn got up extremely early in the morning to get to the International School of Basel for 9am. 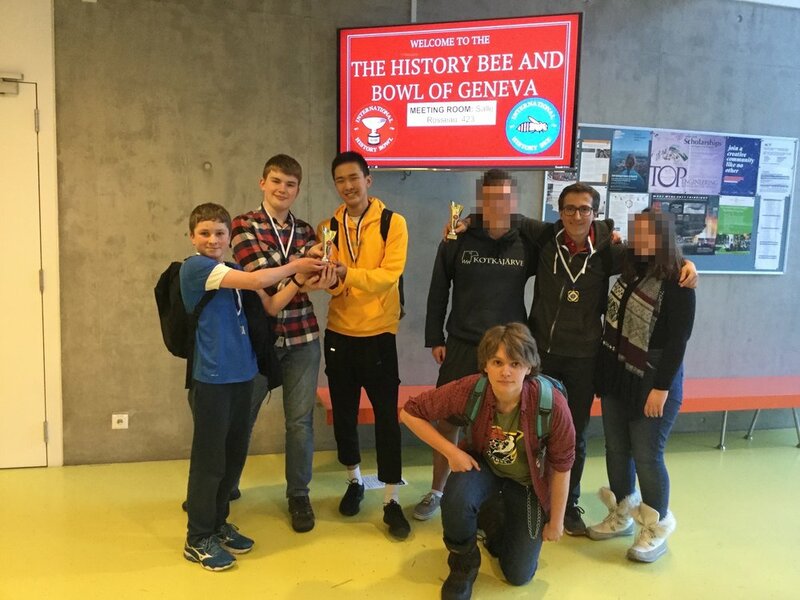 Fortunately the early start did not impact their success and we are pleased to announce that the Junior Varsity and Middle School Teams won the Swiss History Bowl. This means that they are now invited to compete at the European Level of the competition in Rome (19th-21st May). While the Varsity Team did not win their stage of the competition they did get to the semi-finals which means they are also invited to the European Stages. But the success does not stop there as there were high placings again in the Bee (individual) section of the event. Well done to the whole team and good luck in Rome!